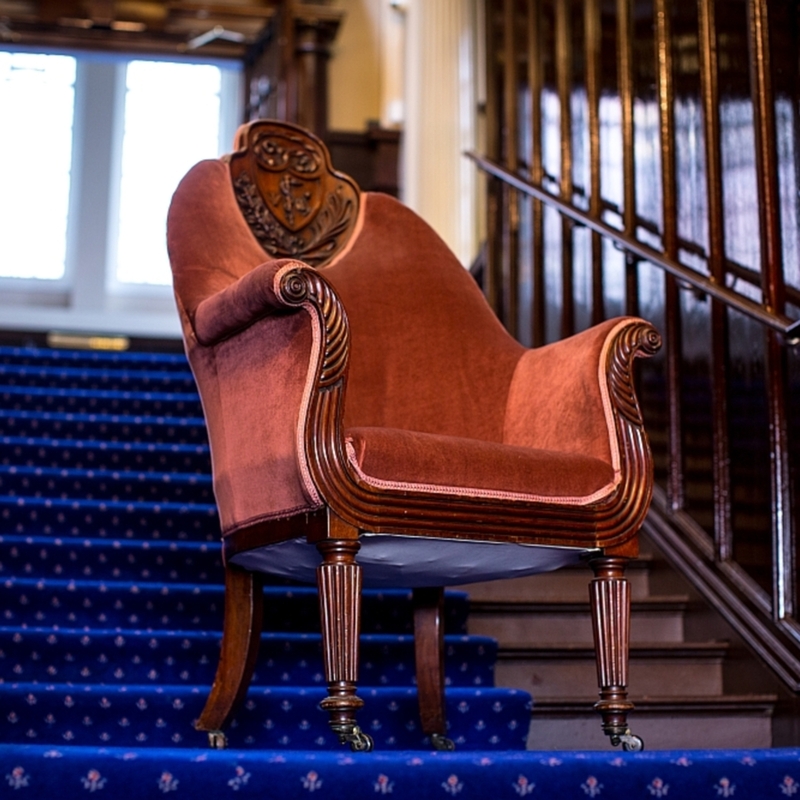 William IV mahogany President's Chair with high upholstered back inset with the original arms of the Faculty of Physicians and Surgeons of Glasgow in mahogany, on turned fluted legs with later castors. 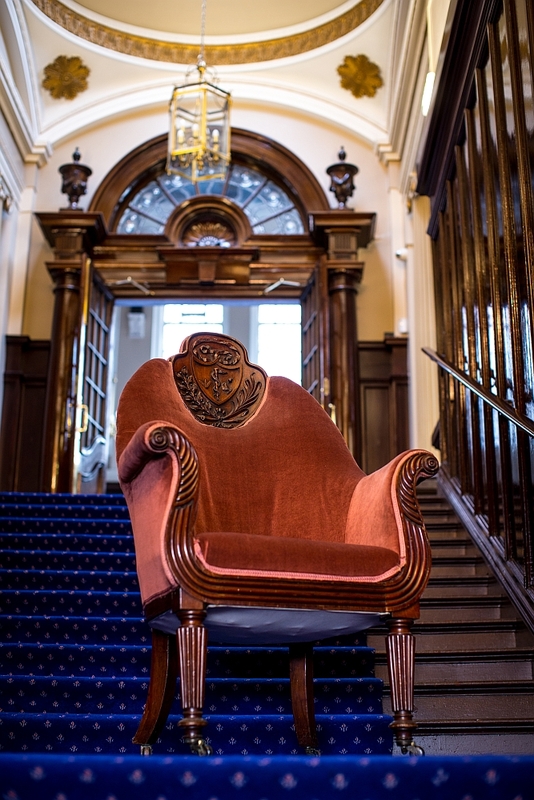 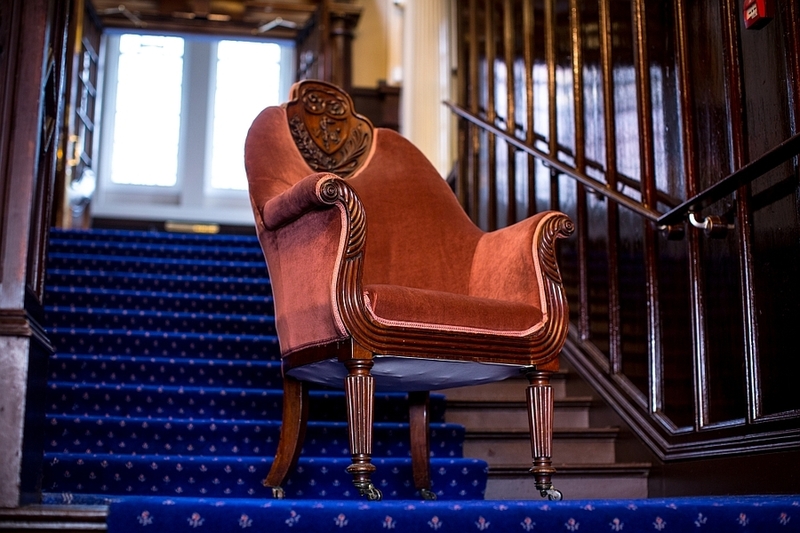 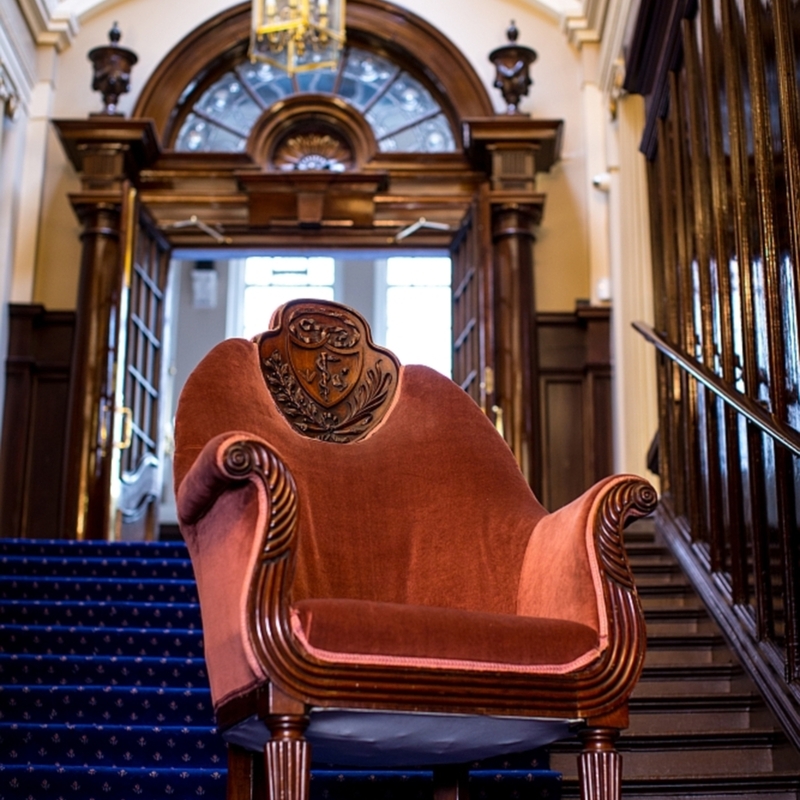 “President's Chair,” Heritage, accessed April 20, 2019, https://heritage.rcpsg.ac.uk/items/show/1027. Description: William IV mahogany President's Chair with high upholstered back inset with the original arms of the Faculty of Physicians and Surgeons of Glasgow in mahogany, on turned fluted legs with later castors.